These free gingerbread write and wipe counting cards are perfect for practicing numbers 1-20. Just print and laminate and then use with a dry or wet erase marker. I've also included a number chart with tracing lines for little ones that still need practice and a reference sheet. 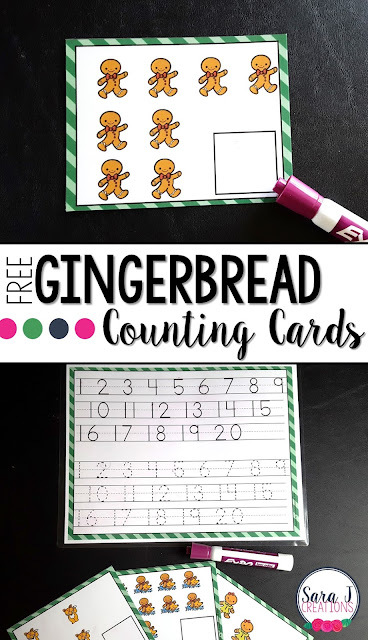 Grab your FREE gingerbread counting cards now.